A catastrophic storm can cause a wide range of damage to a home, commercial, industrial or institutional building. 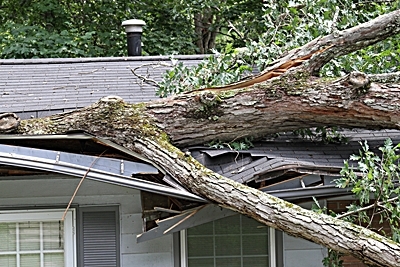 In addition to flooding or fire damage, wind damage can be just as devastating. Heavy winds can down trees or limbs onto buildings, rip off roof shingles or an entire roof, tear away gutters or siding, damage equipment or vehicles, interrupt electrical service, expose buildings to water invasion and so much more. Often multiple contractor services are needed to address the aftermath of a catastrophic storm. You can get a lot of useful information about storm damage at the National Severe Storms Laboratory website. Most importantly, don’t delay in getting professional help. Fast action is essential (and often essential) because it is likely that many other property owners in your region have experienced similar disaster losses. So there will be a flood of calls to the best disaster restoration companies in the region, like CRM Services. and put your recovery in the hands of a one-stop, single-source contractor – one single point of contact to organize and coordinate everything needed to restore you to pre-loss condition rapidly – and often more cost-efficiently than trying to arrange multiple contractors to work on your recovery project. CRM can mobilize the equipment and labor needed within moments of your phone call if you are in an emergency situation. We will get to you usually within one hour of your call depending on your location and scope of the resources needed to address your specific set of needs. If there is time to more thoroughly assess your situation, we can provide a Free Estimate and Recovery Plan to most efficiently and cost-effectively restore your property. Insurance forms, dealing with claims adjusters or directly with insurance companies, cleanup and debris removal, coordinating all services needed – with consistent communication to you on progress… so your focus can stay on your personal or business recovery.